In this age’s click-bait climate, it’s easy for all-Brit battles to slide down the slope of scripted ‘personal’ rivalries between two boxers who don’t actually know each other beyond their promotional engagements. The social media-sphere swallows the narrative almost every time and what follows is often a fight that falls far short of it’s pre-fight promises, concluding with the bitter enemies settling their fleeting hate with a cwtch or fist bump. It’s a proven [and recycled] formula that some broadcasters stay far too loyal to because they are regularly rewarded with increased audiences in the arena and at home, watching from the sofa. However, it’s not sustainable and for every soap opera spectator gained, the faith of genuine boxing fans is strained ever more. For those reasons, the absence of any contrived controversy is a breath of fresh air in the build-up for the forthcoming, career-hardest challenge facing Clydach Vale’s Liam Williams (16-0, 11KO). The Welshman’s Scouse namesake Liam ‘Beefy’ Smith (23-1-1, 13KO) occupies the other corner and here we have a trade fight where no hype is needed. 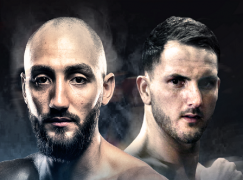 Prior to sharing the Manchester Arena’s canvas on Saturday 8 April, this week the super-welterweight pair have spent two days together for a media tour in their respective home cities. The press conferences have been chaired by BoxNation’s John Rawling, who hasn’t been called in to referee the relatively respectful exchanges. What’s the reason for that? “There’s no personal dislike. 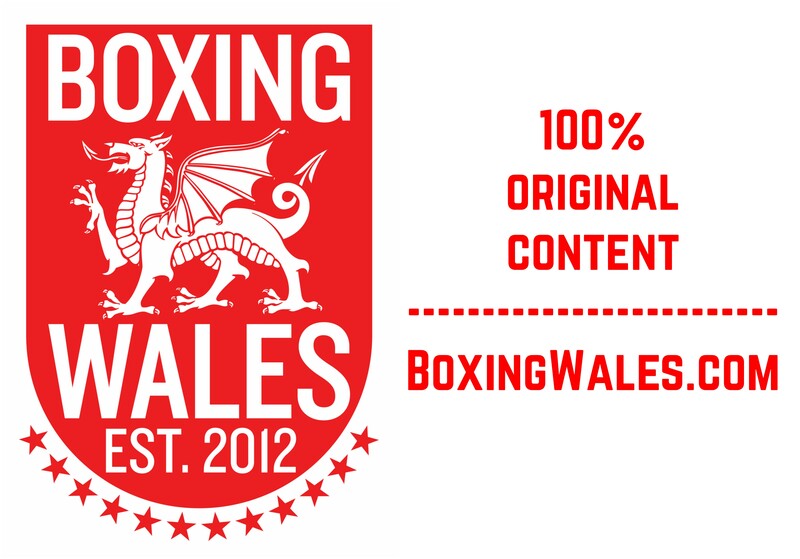 I don’t like Liam Williams at the moment; I want to take his head off but that’s boxing terms and boxing terms only. 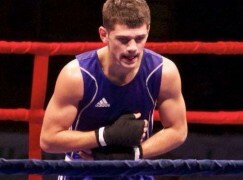 I don’t dislike him,” explained Smith, the third sibling in a quartet of brothers to become British champions. “Obviously now, his Mrs and little daughter are here, so he’s a family man. I haven’t got kids, but I am still a family man, I have a very good family. 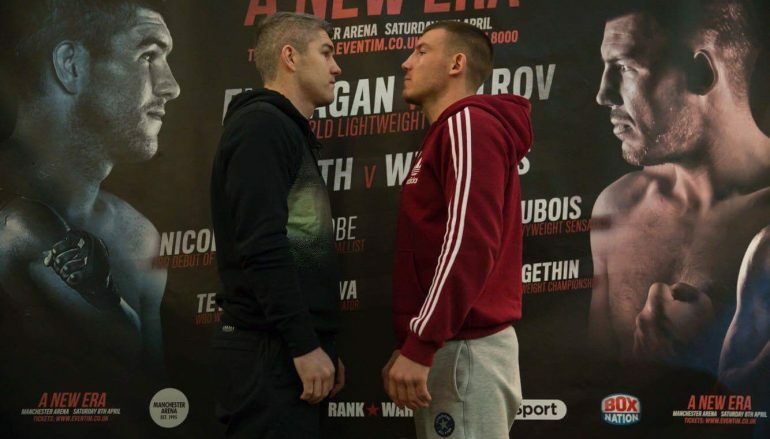 It’s a refreshing approach, one that’s frequently corrupted by the stereotypical mentalities of most boxers when presented with an opponent who owns a genuine threat to their career progression and livelihood. 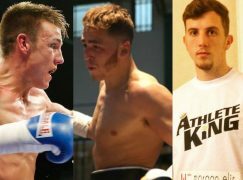 Still, temptation to poke gentle verbal holes in the other’s armour is hard to resist and Smith believes he’s sensed a weakness in Williams amidst the red hot run of form that’s seen the up-and-comer collect a trio of belts, as well as two honours at recent award ceremonies. While Smith, who last fought against Mexican star Saul ‘Canelo’ Alvarez in front of 52,000 fans [L KO9], insists he’s simply speaking his mind and not fishing the waters for a response, Williams is wary of taking the bait. It’s a lesson learned from a mistake made in a bad tempered and borderline scrappy 11th round knockout of the previously undefeated Gary Corcoran in July. It’s one of the most mouthwatering match-ups in the country and would’ve been on the 2017 wish list of most, if not all, fight fans. When anticipation is so heightened, the actual action can occasionally fail to follow it up. However, ‘Dully’, as he’s affectionately known in the Rhondda valleys, is assured that won’t be the case when he co-kicks off boxing on BT Sport.